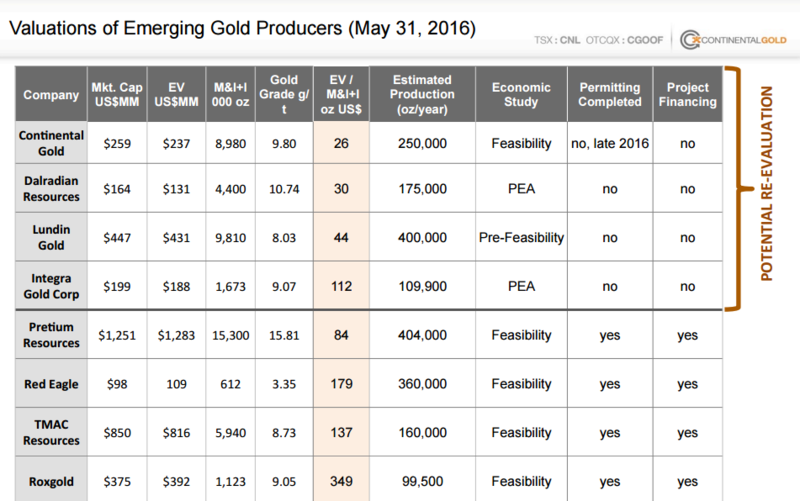 Continental Gold Breaks Above C$3.00 as Investors Grow Optimistic About Environmental Permitting | Energy and Gold Ltd. 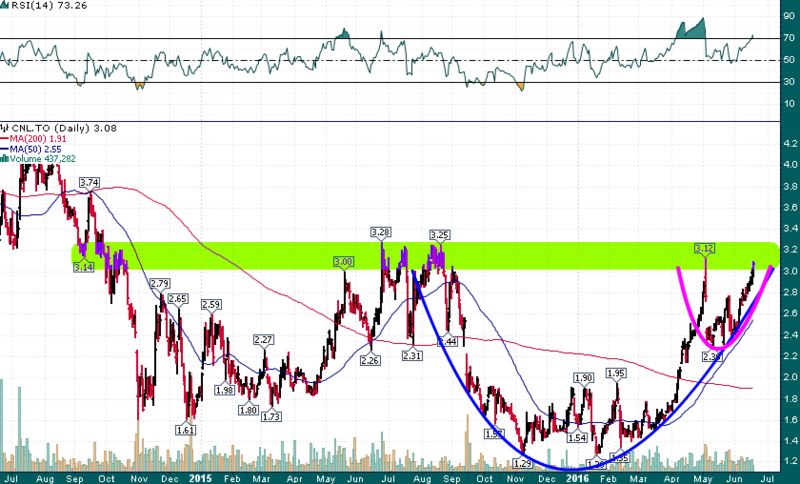 The support/resistance zone between C$3.00 and C$3.25 represents a crucial test for CNL. A breakout above C$3.25 would complete a 9-month rounding bottom pattern with a handle of a cup & handle pattern forming in the last couple of months. A breakout over $3.25 would target C$5.00+. 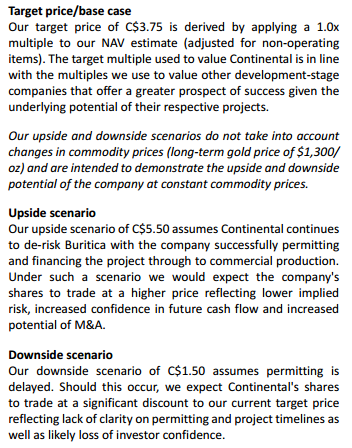 More importantly I would assert that a decisive breakout above C$3.25 would offer a strong indication that Continental’s flagship Buriticá project is well on its way through the permitting phase and closer to becoming a real mine. We will continue to monitor updates from CNL and look forward to hearing the results of additional exploration drilling at Buriticá and of course environmental permitting.